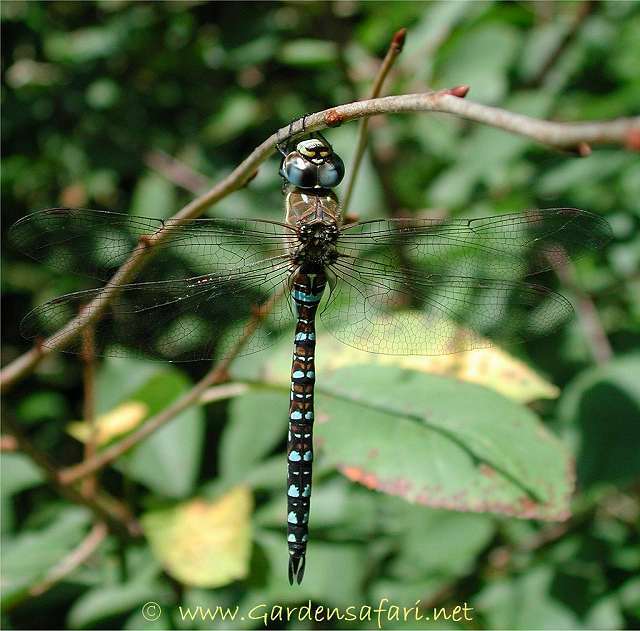 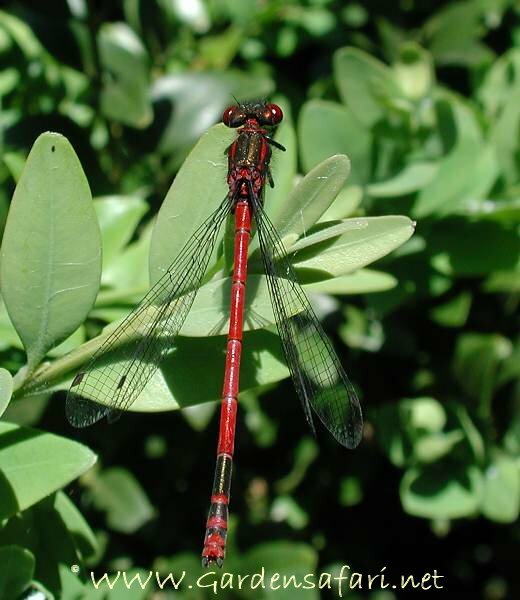 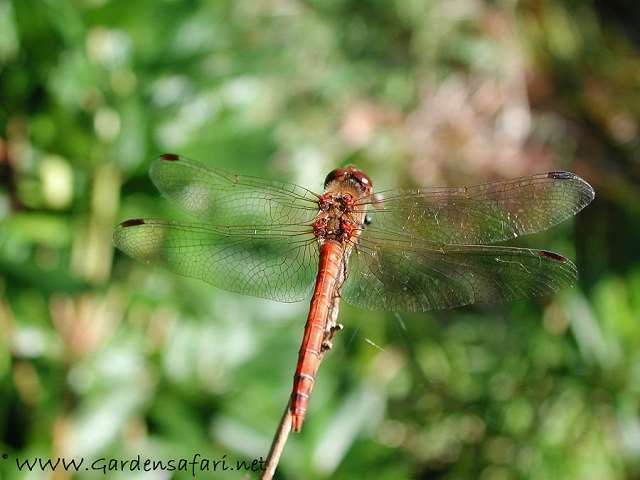 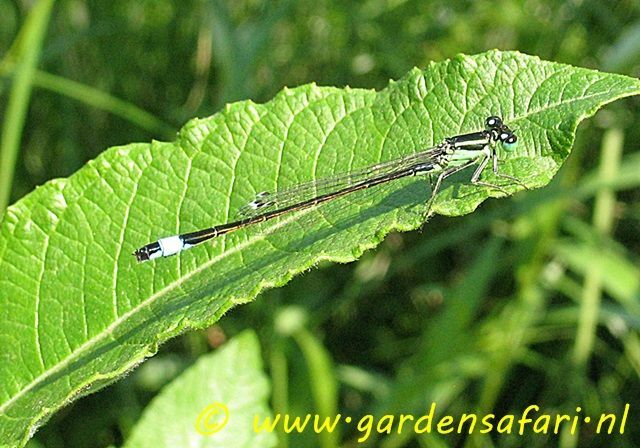 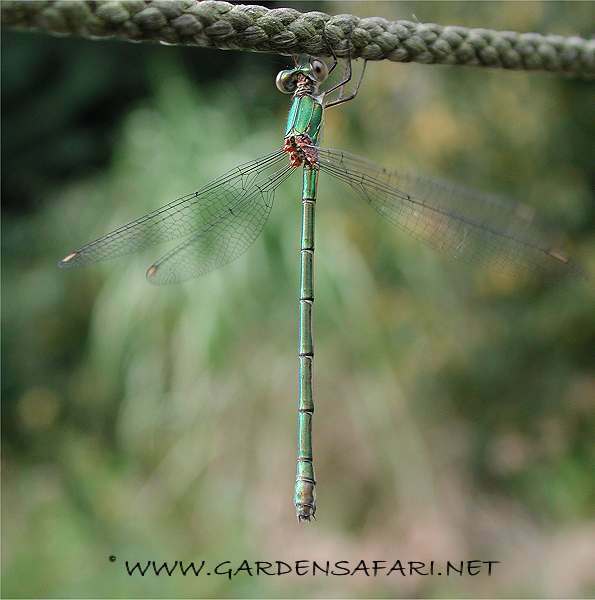 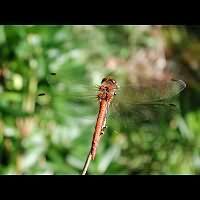 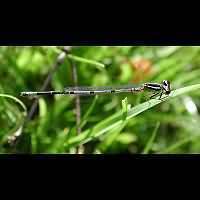 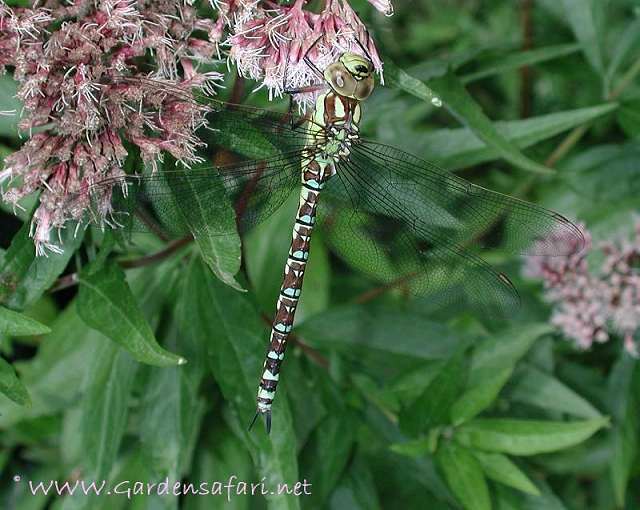 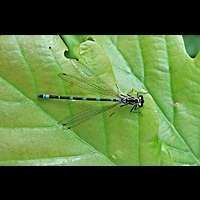 Dragonflies and Damselflies in our garden with lots of pictures. 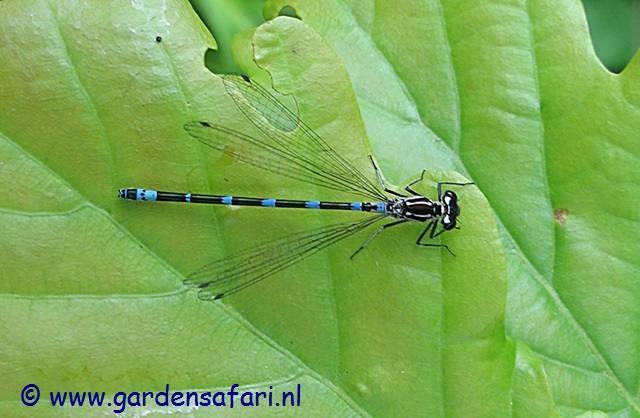 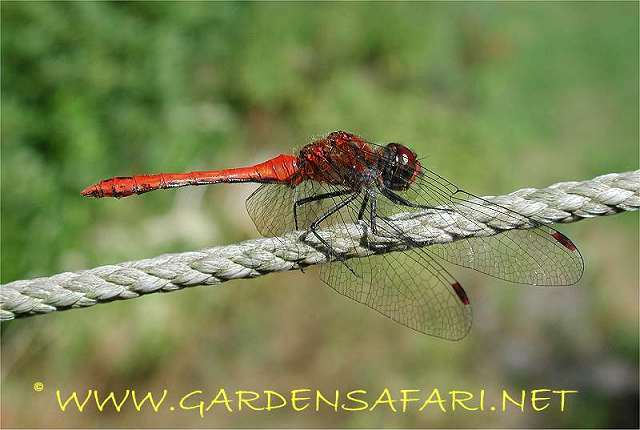 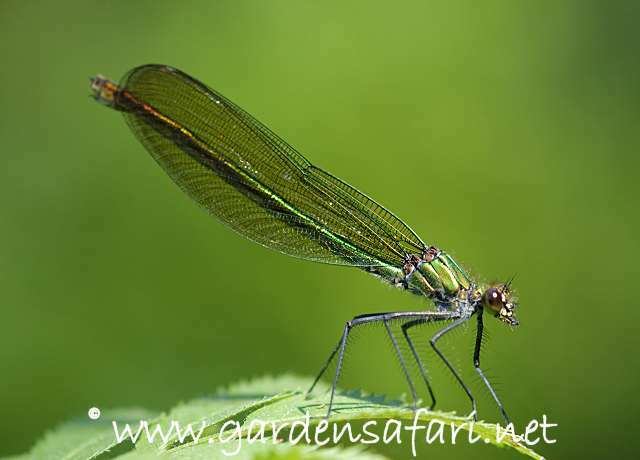 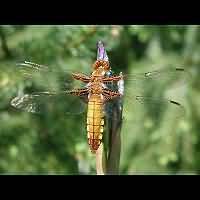 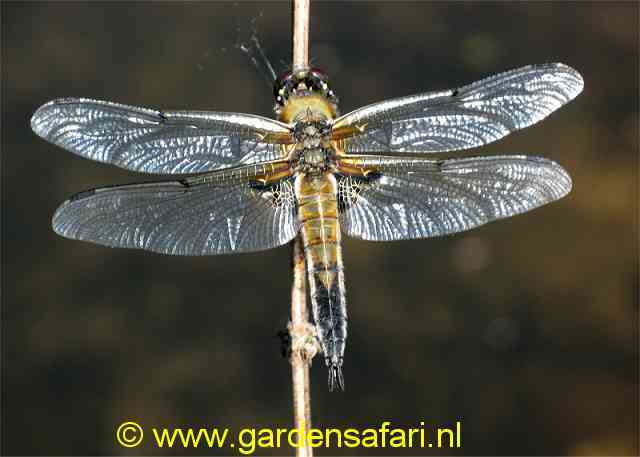 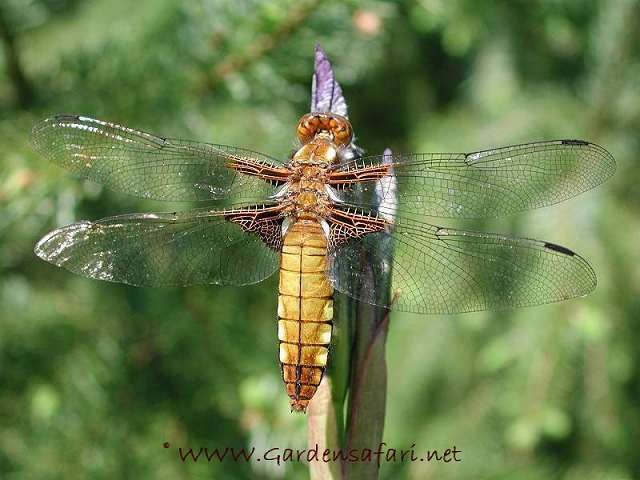 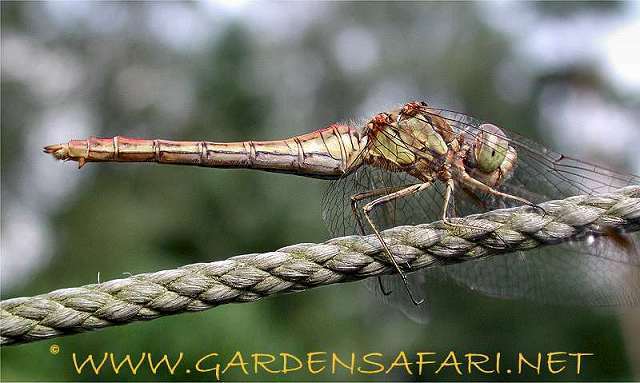 Dragonflies are among the most beautiful insects here in the Low Countries, except for some butterflies perhaps. 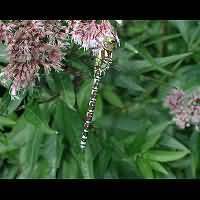 Even though they are skilful flyers and colourful animals once adults, their larvae are another cup of tea. 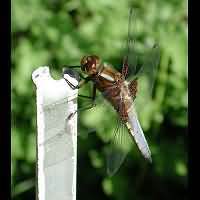 They do resemble their adults a bit, but lack the long abdomen and the wings. 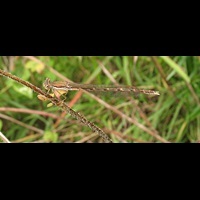 Very often you will see two dragonflies flying about together. 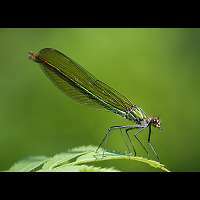 Often the shape of the two bodies will remind you of a heart or a wheel. 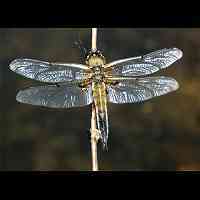 Actually they are mating. 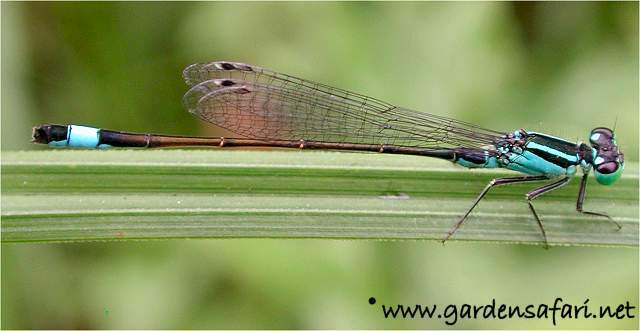 The male grabs the female just behind the head. 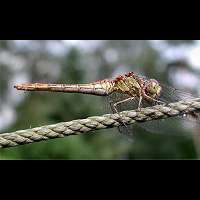 The female holds on to the male just behind the body. 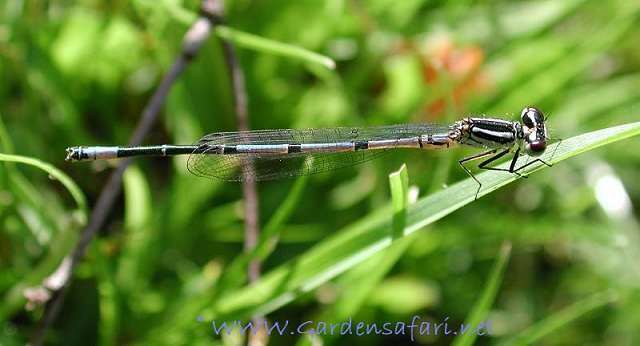 In this position the male is impregnating her. Now this is odd, for the male's sexorgans are located at the end of his tail. 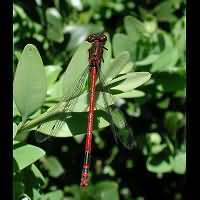 So if the end of the females body is just behind his own body and not near the end of his tail, how does he do it? 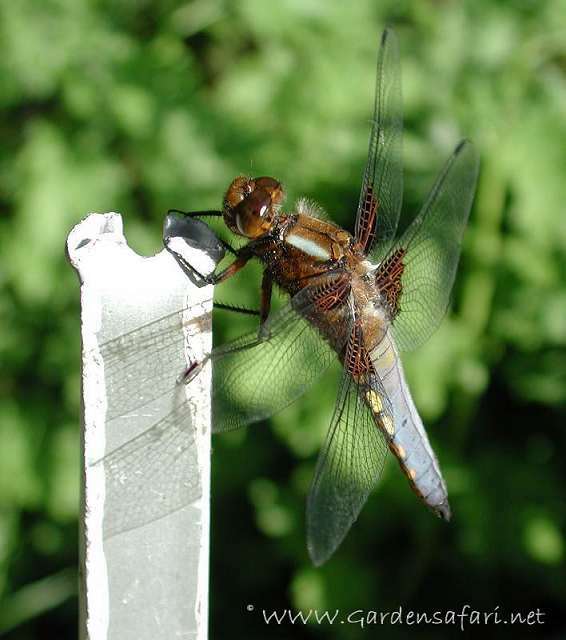 After producing his sperm, he transports it to a special save-keeping organ near the front of the tail. 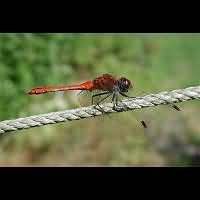 And that's exactly where the female grabs him! 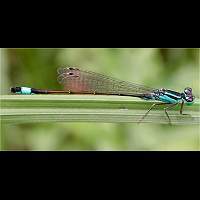 When she is depositing her eggs the males of many species hold their grip on the female, to prevent other males from breaking in and taking over. 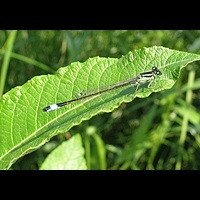 Both the larvae and the adults are carnivores.